It's no secret that I love shopping at local boutiques and supporting local designers. 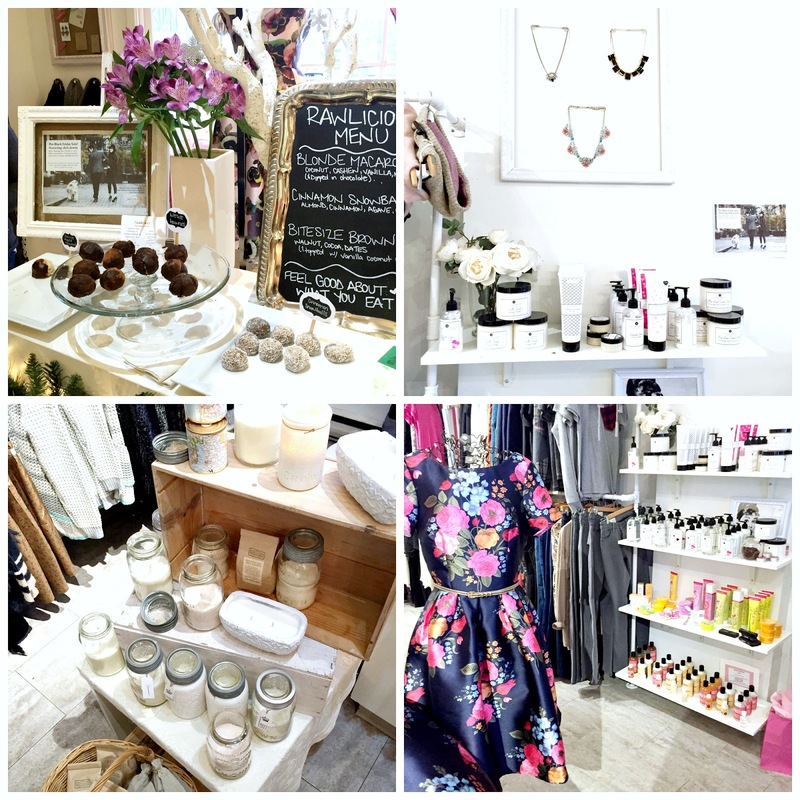 Lemonberry, in Aurora, Ontario is one of those shops that stocks fabulous brands (such as My Pink Martini, Quay Australia, Preloved, Gentle Fawn, Shop for Jayu, Soia and Kyo, Lovefresh and the list goes on!) and makes you feel as though your shopping in heart of SoHo. The ladies at Lemonberry are just as lovely as the shop and are so educated on their brands, which makes the whole shopping experience that much better. Lemonberry is headed in the eco-friendly, socially responsible direction. The fashion industry is the 2nd largest polluter in the world, and Lemonberry is bringing awareness to this issue and trying to reverse it. To launch this initiative, they hosted a lovely afternoon shopping event, highlighting Canadian brands that are killing it in this scene. Do you remember Dish Jeans? They have totally made a comeback, have revamped their brand, and are focusing on the going beyond approach. Designed in Vancouver, they know the importance of movement and performance, and have created the perfect denim for the active woman. The added technical fibers to take the fabrics to the next level, and you can pretty much do anything in these jeans! I was pretty amazed by their new campaign, which allow you to perform on the daily without sacrificing style. I went with a more outdoorsy wash in the Straight & Narrow fit because it was a style I was lacking in my closet. However, I'll definitely be back for the skinny jean and black jean (that literally never fade) because they fit perfectly and were so ridiculously comfortable. Check out Dish & DU/ER (for men) if you are looking for a jean that doesn't require you to take off the moment you get back home. Lemonberry was also highlighting Amy's Place Handmade Candles. So often we are blindsided by the worst quality of candles and do not realize the toxins we are release into the air. What I love about Amy's is that they are locally and ethically produced. The candles are pure soybean wax, made with essential oils and are blended into re-purposed vintage jars. 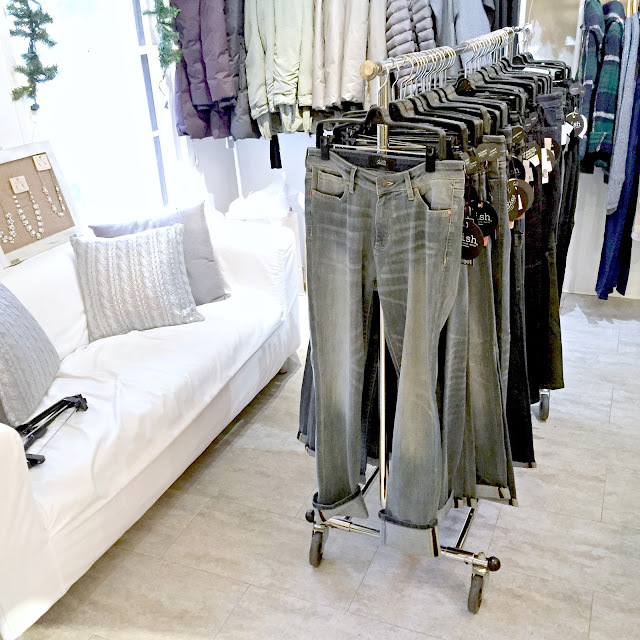 Both brands can be shopped at Lemonberry (located at 2 Orchid Heights Blvd, Unit 10, Aurora, ON) and I highly suggest making the trip to the boutique for a lovely shopping experience! Yay! I love the jeans and obviously the tee that you chose! Such a cute, comfy look for the fall and winter. I love the look and fit of those jeans!